Beans is an ingredient which is flavoured well and imparts thickness, it was worth the try… They came off very delicious and there’s also the moment of surprise. 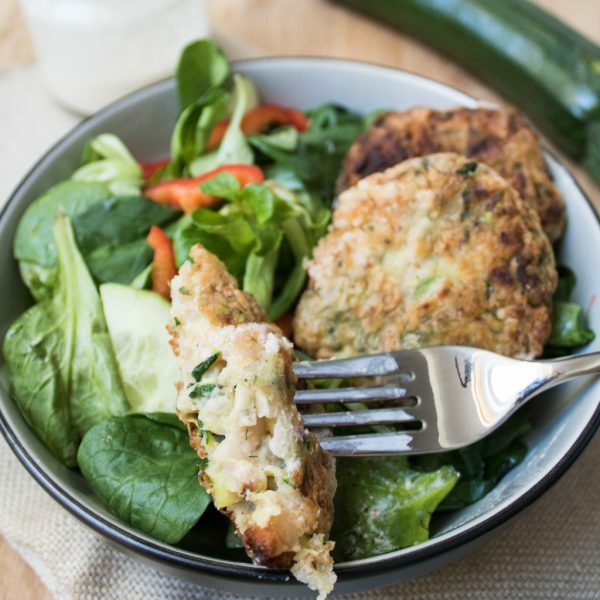 Recently an acquaintance of mine wrote that she’s waiting for my reading of zucchini fritters and I hope I’ll surprise her with this recipe 😊. 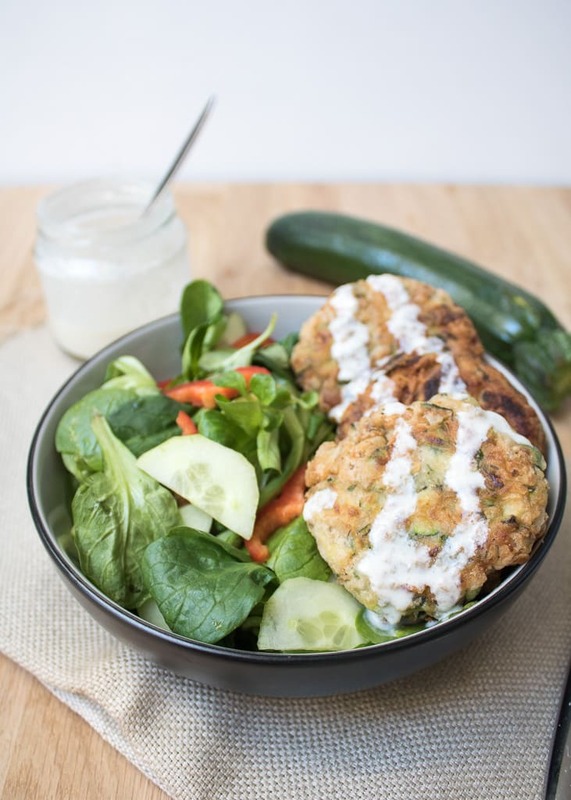 Vegan zucchini fritters with fresh tahini dip... 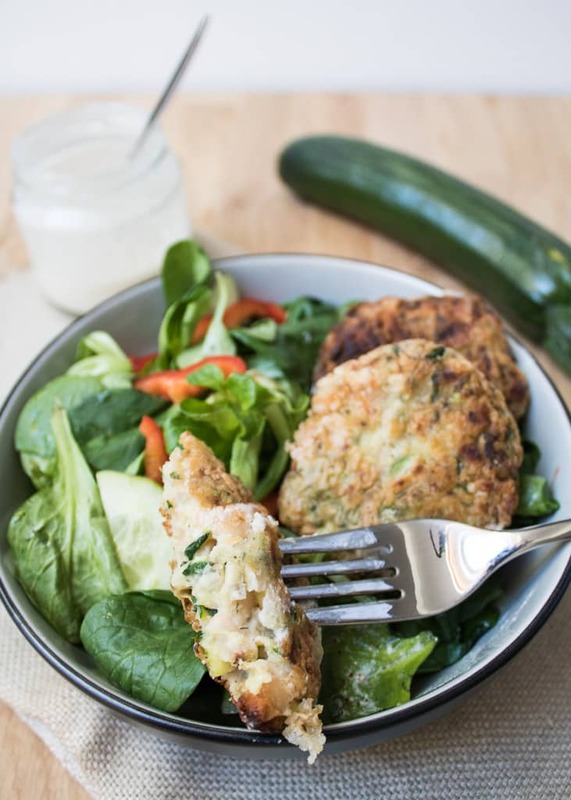 Very delicious, easy and successful and with one surprising ingredient. The zucchini is grated on a large grater and is added salt on it. Leave it in a strainer or colander to allow the water of the vegetable to drop away. Filter the beans from the water. Put it in a large bowl and press it with a fork or hands. Don’t make a puree because the mixture will be soft and the fritters will break. You should squash it and large pieces to remain. Squeeze out the remained water from the zucchini with the help of a kitchen towel or hands. Add them to the beans and add salt, black pepper and dill. If the mixture seems to be too soft, add 1-2 tablespoons of flour. Roll the fritters in flour and fry in hot oil until they obtain golden color. You can bake them in an oven at 200 degrees for 20 minutes, but I personally like more the fried ones because they remain juicy on the inside. For the tahini dip mix all ingredients and stir well until you get a smooth mixture.